The Hope Tennis Club was established approximately 1957 and is situated in a relaxing rural setting at the Hope Domain, which is 3 kilometres south of the Richmond deviation. Watch for the signpost on Main Road Hope. 10 synthetic grass courts with floodlights, available for play all year round. Our clubhouse is well maintained and loved for its relaxing atmosphere. Facilities include toilets, showers, kitchen and an area for socialising. We also have seating outside the clubrooms giving good views of the courts and tennis being played. 64 senior members and 62 juniors. 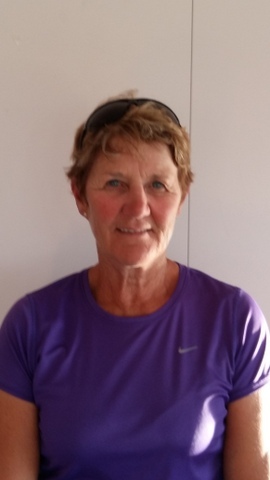 Professional Coach Ngaire Calder runs a Junior Coaching Programme for all ages and abilities. Ngaire is also available for senior coaching as required. Our club has a very relaxed and friendly atmosphere and although we have many strong players and participate in all the interclub competitions, we do enjoy the social aspect of tennis as much as the tennis itself. We hold a club night once a week on a Thursday night and during the summer field teams in the men's and women's Tuesday night competitive interclub competition, the Monday Morning Ladies competition and the more social Thursday night mixed interclub competition. We also hold a ladies morning for social tennis on Tuesdays (men are also welcome but beware; you will be outnumbered by the ladies!). Over the winter we host a Winter Competitive Tennis Competition for senior players on a Tuesday night. It is a mixed team event. This is the second season we have been running the competition and it is proving to be immensely popular with lots of good tennis and lots of laughs. We welcome new members whether you are a junior or senior or want to play competitive or social tennis. Our courts are also available to the public for the small fee of $2 per player, extra for lights. Please contact us if you would like more information or would like to come and have a look at our club's facilities, perhaps join us for a hit.